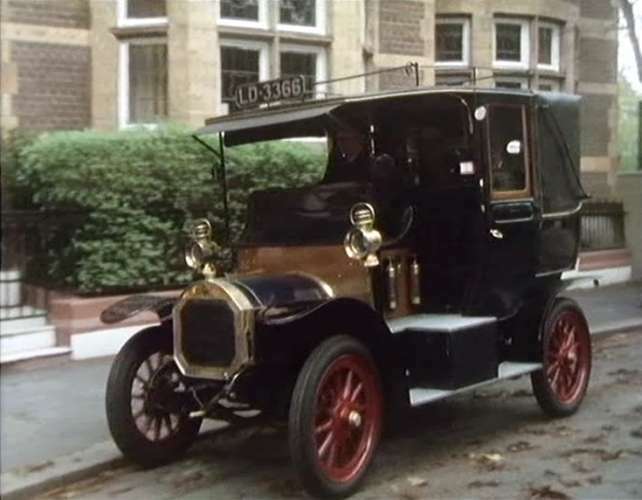 IMCDb.org: 1908 Unic 12/14 hp Taxi in "Reilly: Ace of Spies, 1983"
This exact taxi 'LD 3366' is an exhibit at the Museum of London, 150 London Wall, London EC2Y 5HN. The number may have been issued in 1921 but this is a ca. 1908 Unic or at least looks like it. It is probably recent reconstruction which has been given an age-related plate. Sunbar wrote This exact taxi 'LD 3366' is an exhibit at the Museum of London, 150 London Wall, London EC2Y 5HN.